Spring’s best looks involve new ways to wear classic pieces. It is a true blend of sophistication and femininity. 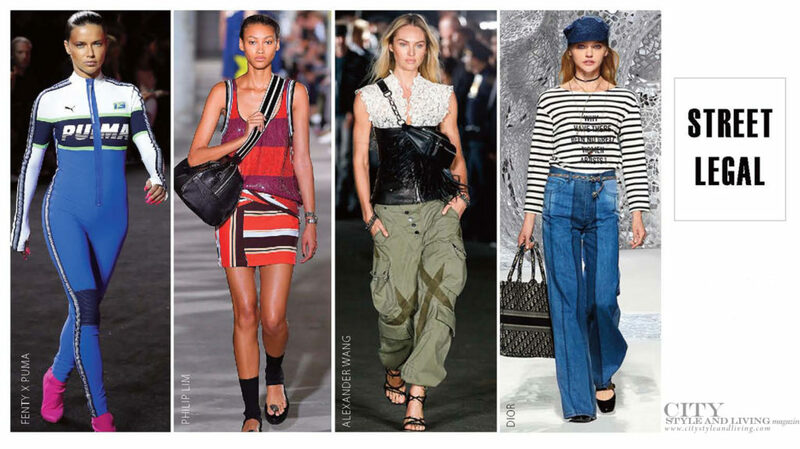 CSL breaks down the top trends, and shows you how to easily update your closet! A mix of pure Americana meets Spanish gaucho. 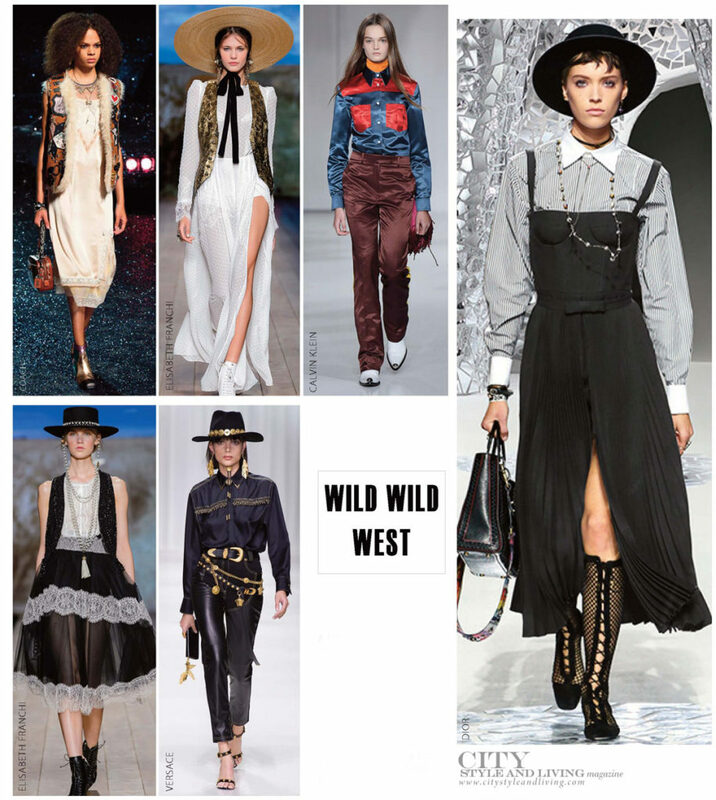 Play with textures (leather, sheen, embroidery, fringe), and pattern (Navaho print, patchwork) to achieve the modern prairie gal. Don’t forget to pull the look together with a flat top boater hat and cowboy boots. An ideal seasonal transition piece, the modern classic is reinterpreted for 2018. While McQueen and Margiela opted for coats decked out with embellishment, at Michael Kors and Philip Lim, a deconstructed if laid back silhouette was pushed forward. Worn both belted and loose (à la house coat redux), this is the statement piece of the moment. From satin to lacquered leather and latex. Usually reserved for formal occasions or bridesmaid dresses, satin had made a major comeback for daytime. 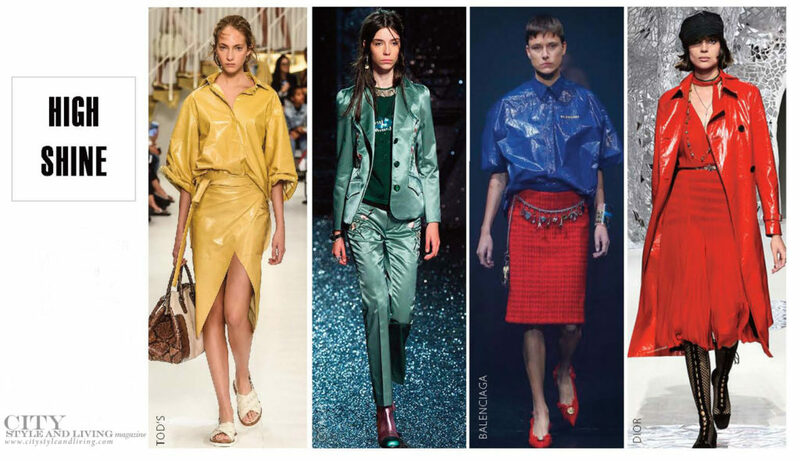 The ultra luxe fabric was seen everywhere on the runways, as was lacquered leather maxi coats and latex tops and skirts that add a Matrix vibe to any outfit. Pattern play goes into overdrive! 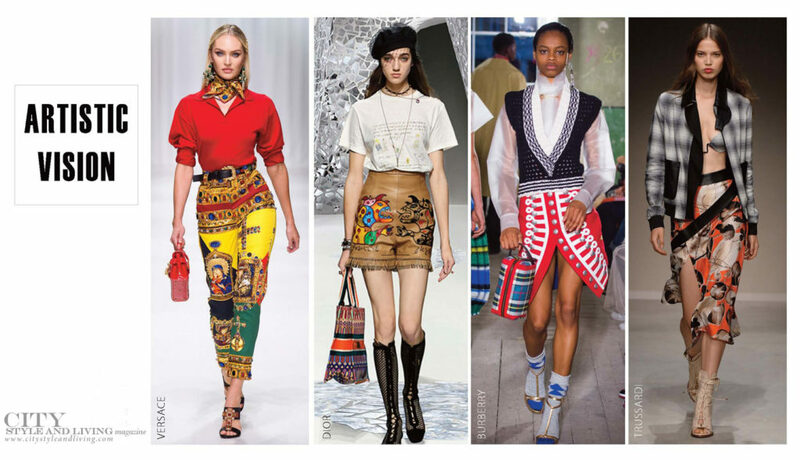 Eccentric prints, mixing palettes and statement patterns were a mainstay on catwalks this season. 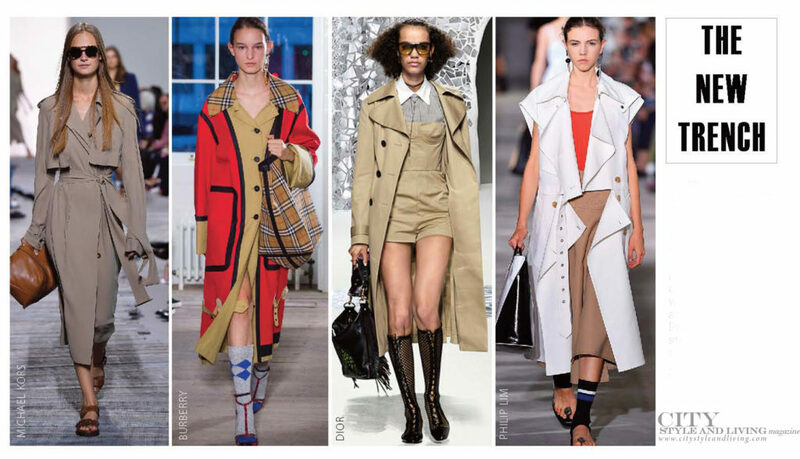 At Versace, it was bright colour and Renaissance-style prints, while Burberry showed bold woven pieces. Some designers took a more subdued approach in the form of pop art graphics and folksy prints. Ice cream pastels are the colour palette du jour! 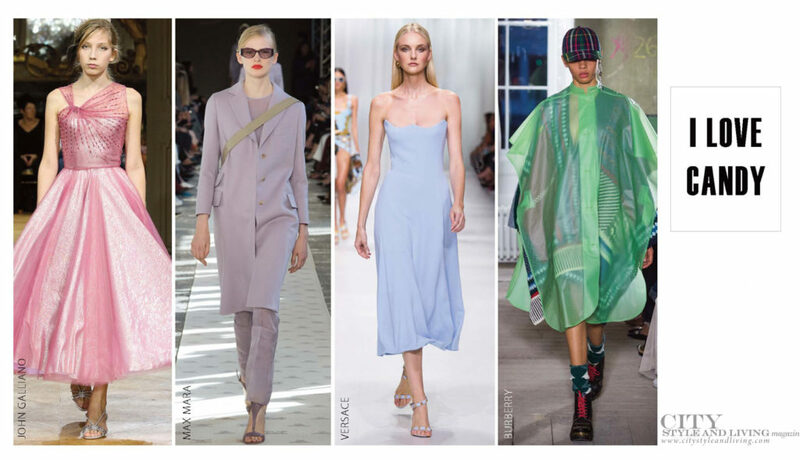 Like a familiar warm breeze, ultra feminine pastel hues are back in a big way, seen at Galliano, Victoria Beckham, Celine and Max Mara. To create a clean line, wear different tones of the same colour. Individual style taken to a new level. From tees emblazoned with brand logos like at Gucci, Balenciaga, Fendi, and Versace to the return of slouchy utilitarian clothing, the street style trend is here to stay. The rabble-rouser takes the crown. At Moschino, Saint Laurent, and Balmain models stomped onto the runway wearing black tutus reminiscent of ballerina crossed with a punky black swan vibe. 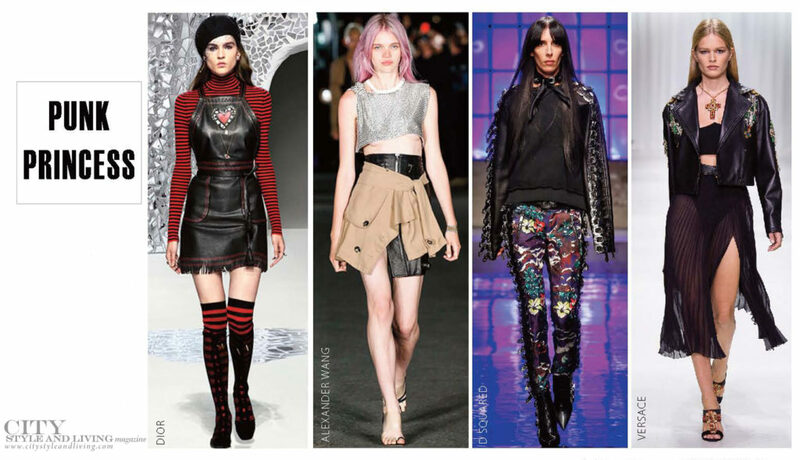 Tufted skirts worn with fishnets or thigh-high stockings, leather boots and a cool edgy pixie cut are sure to reveal your inner rebel.